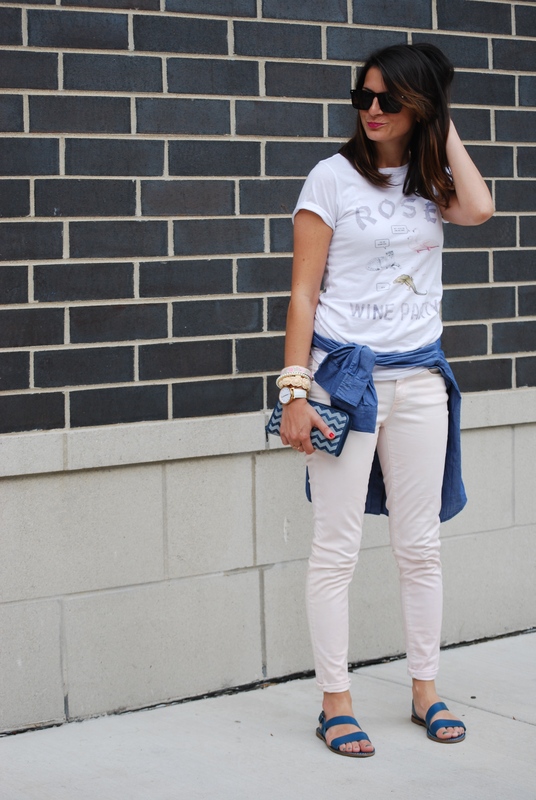 #yeswayrose it’s Friday! Who’s ready to pop a bottle open and have a Rosé Wine Party?! My animal friends sure are ready. 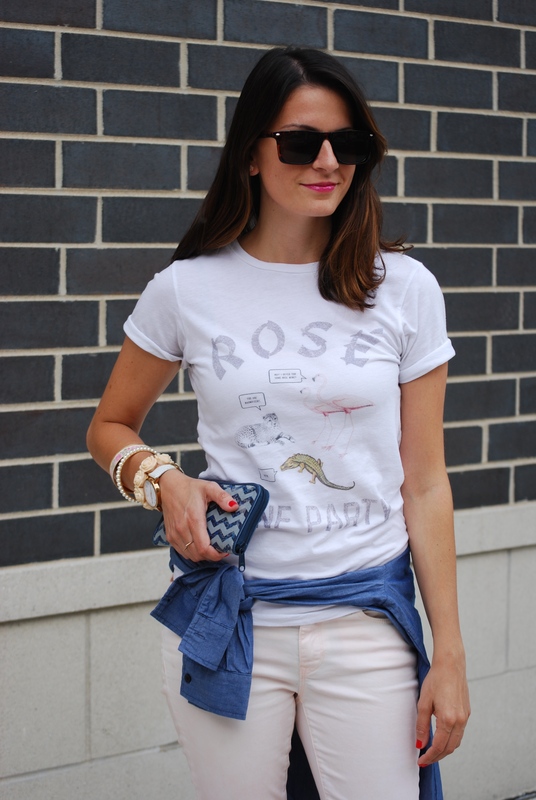 I basically lived in this tee all summer long and it’s a pleasant reminder of many fun outings. 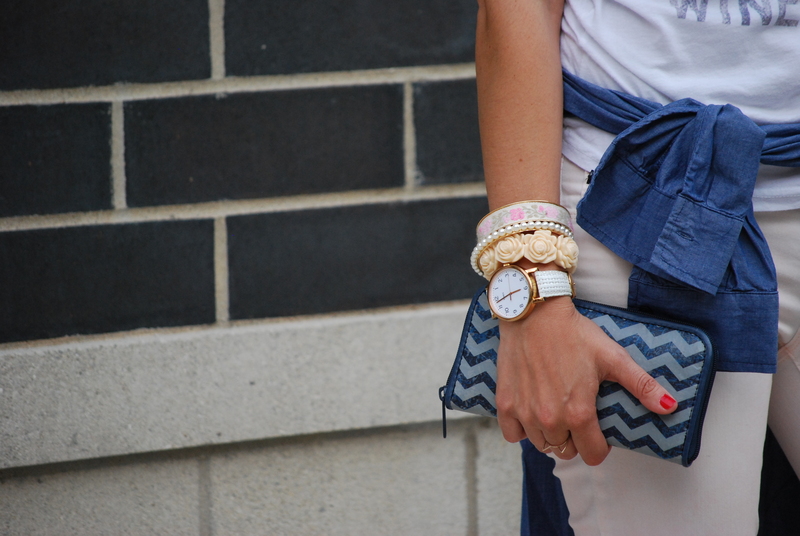 I really like the pink, white and blue color combination and again, how playful this look is. And nothing says summer like a bright pink lip and a garden arm soirée. Fun fact: Did you know that my wallet is handmade from upcycled plastic bags that pollute the beaches of Bali? One day I’d like to visit Bali and other beaches around the world, so let’s all join MOVMT and stop 14 billion pounds of toxic single-use plastics from flowing into the oceans each year. Have a great weekend all and save the planet!